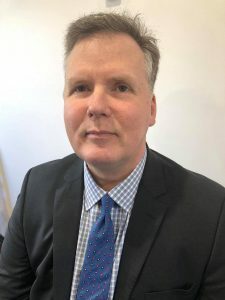 The Principal Solicitor of Traralgon lawyers Henry Street Law, Craig Livermore, brings over 25 years experience as a solicitor in Victoria and Queensland to the firm. He holds a Bachelor of Laws (QUT) (1990) and Master of Laws (UQ) (2003). Craig is admitted to practise as a solicitor of the Supreme Courts of Victoria (1994) and Queensland (1992), and his name has been entered on the roll of practitioners of the High Court of Australia. Craig’s experience practising as a lawyer is wide and varied. It extends from the Magistrates Courts of Queensland and Victoria to the Supreme Courts of both States, the Federal Circuit Court of Australia and Family Court of Australia, and Federal Court of Australia. He has appeared twice before the High Court of Australia. Craig understands that clients seek sound judgment, understanding and experience from their lawyers. Contact us on (03) 5181 6363 to arrange an appointment at our office in Traralgon, or email us at enquiries@henrystreetlaw.com.au.